If you have a problematic skin (acne-prone, pores easily clogged because of makeup and blemishes, among others) like yours truly, you'd need all the help you can get. I personally like my skincare to have AHAs or ingredients that can help exfoliate and brighten skin (much better if it can lighten too) and prevent future breakouts. Geesh, I do sound like my skin has a lot of demands no? Well, demanding talaga siya! I wish I could go back to those days when my skin's a lot more normal and when I didn't have to worry about oilies or acne. Oh god, I'd give anything just to have that kind of skin back. Kung maibabalik ko lang, sabi nga ni Mareng Regine. But that's now impossible. I mean, let's face it...I am on my way to being a lola (fine, exag na ako!) and my skin won't be back to its younger self so instead of wasting my time wishing to get that skin back, I'd rather do things that will help me sort of slow down the ageing process and make myself look younger than my actual age. 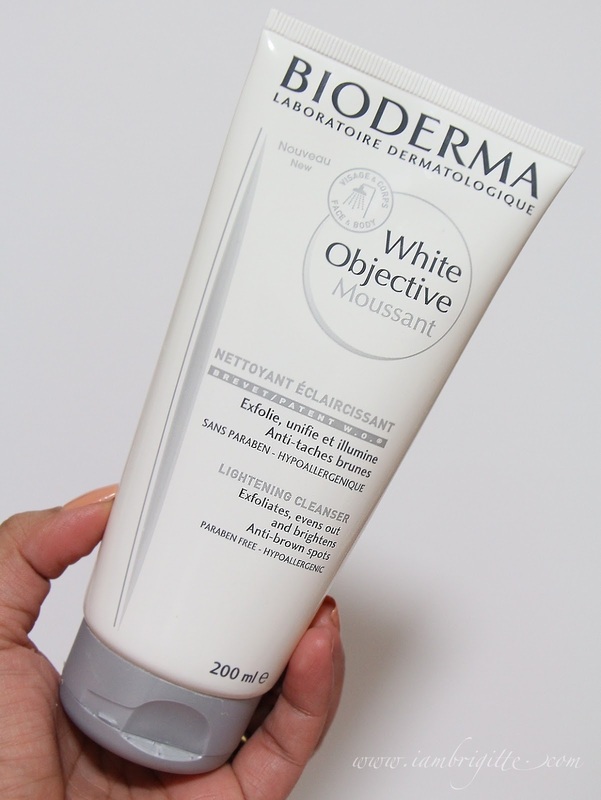 For today let me share with you my current favorite facial cleanser, the Bioderma White Objective Moussant Lightening Cleanser. I personally haven't tried using this as a mask but as a cleanser, this is absolutely perfect! I love how it has some beads that even when massaged on vigorously, doesn't irritate the skin. On days that I feel like my skin is really clogged, I use this with my Clarisonic. Ugh, too harsh? Maybe..but it works for me. I feel my skin is so refreshed and clean, it's as if all the dirt from the pores have been sucked out! I can't really vouch for the lightening effect because I've been using this in conjunction with other lightening skincare products but I really do notice that my skin really brightens up after using this as a cleanser. I really couldn't think of anything that I don't like about this product so yes, I am giving this a two-thumbs up! I'm a Bioderma user (been alternating their Sensibio and Sebium Micellar Water on most days) and after using this cleanser, I am more interested to try out more of their products. I got the husband their anti-dandruff shampoo and he's liking it so far so I'm convinced that this brand has a lot to offer. My eyes are on their White Objective line as my main skin concern are blemishes and skin dullness (lola levels, aguyy!) If you've tried that line, please let me know. I would love to know your thoughts! 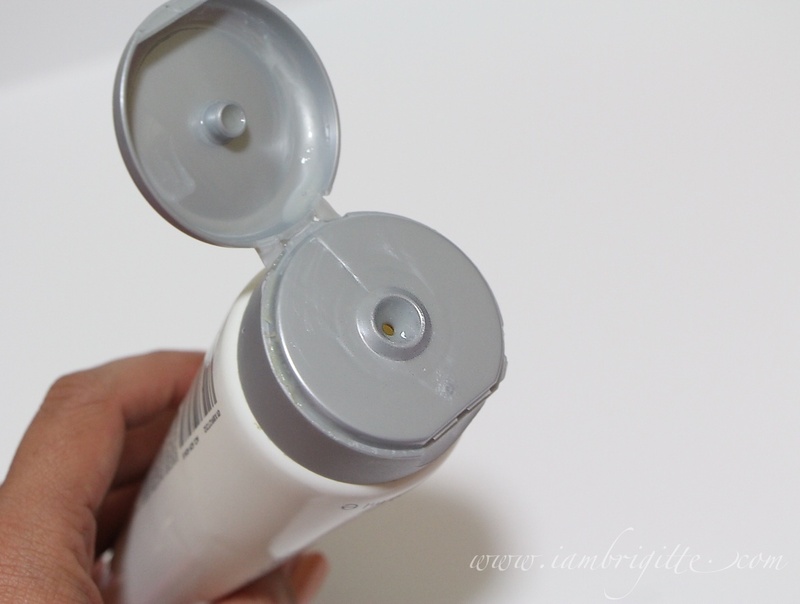 Oh by the way, if you are using this product or any other products with AHAs, make sure you are using sunblock. I think an SPF30 is the usual must-have for daily use but if you are using products like this, try to go as higher as 60 (100, even!) I use SPF60 most of the time but when I think I'd be staying under the sun longer, I use SPF100. So there you go! I hope you like this post...if not, well...maybe next time! Hahaha. It's Tuesday and I can't wait for Thursday. We'll be going camping! I want to try Bioderma. Perhaps I'll start with their ever-popular micellar water first.